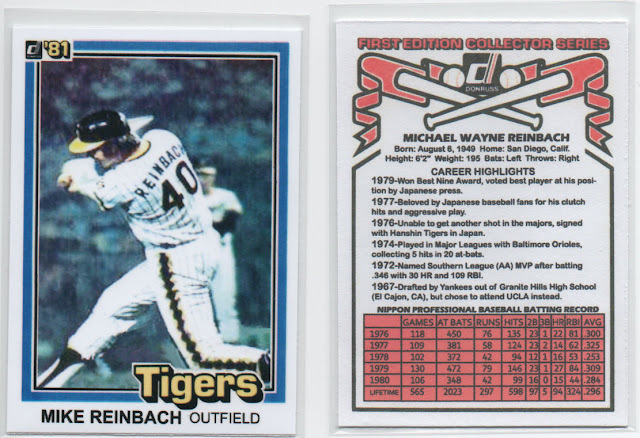 Mike Reinbach is one of my favorite lesser-known players to collect. 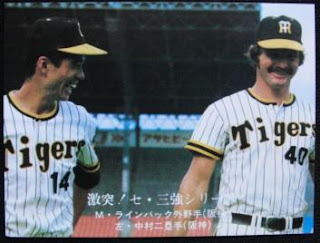 The original "Guy From Granite," he was the first grad from my high school to play in the major leagues, albeit a short 12 game cup of coffee with the Orioles in 1974, but went on to stardom in Japan. 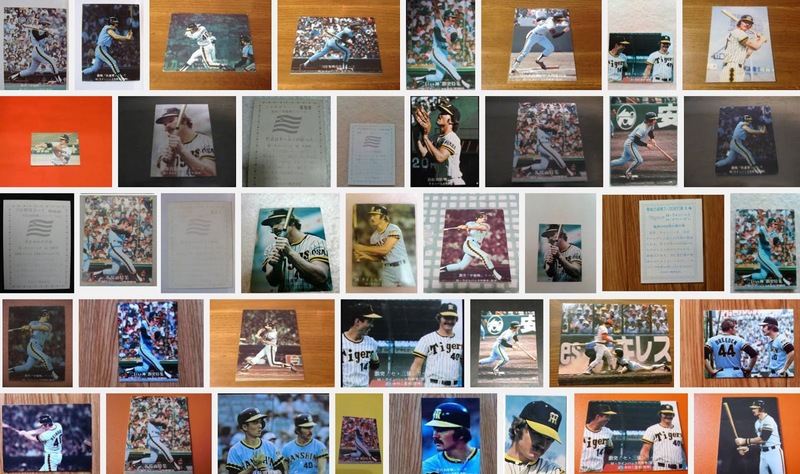 After he retired from baseball, he spent much of the 80s as a pioneer in the burgeoning home computer industry. On May 20th, 1989, Mike was killed in an automobile accident when his car went off a precipice. In researching his story, I've read insinuations that it was likely suicide, and even rumors that foul play was involved. Recently, Mike's ex-Sister-in-Law Lin was kind enough to email me and set the record straight. I considered Mike another brother even after he and my sister split he was still part of my family. I met Mike when I was 12 and he been dating my older sister, Mike was an only child so he was intrigued by the interactions of my family (4 kids) and my uncle who lived with us at the time. I was devastated at his death. I will let you know that he did not commit suicide. He was driving to Palm Springs with his girlfriend who also had a young child. I spoke with her after Mike's death but have lost touch with her, she was badly injured but survived the accident. She wrote to me after she was released from the hospital to let me know that it was purely an accident. So it has been frustrating to see reports that he committed suicide, he had so much to live for and was loved and would never have left his son this way. There you have it. I had not heard that his girlfriend was in the car at the time. It's fortunate that she survived and was able to confirm that it was totally an accident. I know the roads going through Southern California mountains can get incredibly twisty and are responsible for several deaths each year. Growing up in the San Diego area, I've taken a few family trips to the quaint mountain-town of Julian and the gorgeous Anza-Borrego Desert, and I recall often battling carsickness from all the winding turns on the way. The trip to Palm Springs is longer, but similar. Huge thanks to Lin for reaching out to me to set the record straight! She also asked me for help with any documents and memorabilia from Mike's career. I would like to get anything I can for my nephew (his son). Mike's mother had collected every article ever written and it was all lost after her death. Marie had every article ever printed since he first started playing sport as a small child. Unfortunately I haven't dug up much if anything besides what I've featured on my blog, but I'll keep searching and pass on any articles and such that I come across. I am happy to say that his only child Brian will be married next month and I know that his father is watching over him and is very proud. Thank you for keeping his memory alive! Very cool! And guess what, I planned out this post so that.. today (Nov. 22) is the big day! A heartfelt congratulations to Brian Reinbach and his lovely bride Maria! Wishing you two a wonderful life together. 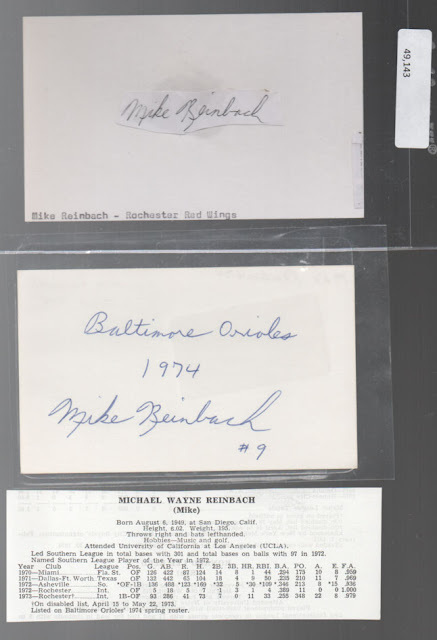 Let's celebrate by taking an updated look at my Mike Reinbach collection. Here are 2 autographed index cards, one from his time in the minor leagues, and the other with an inscription of his Major League action and his jersey number. 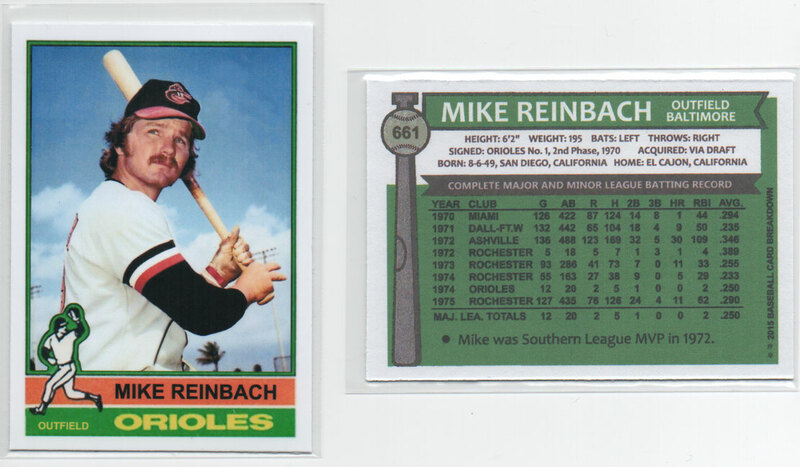 BTW, Reggie Jackson wore #9 for the Orioles in 1976; Coincidence, or was Mike Reinbach responsible for Mr. October's success in the late 70s? We may never know. 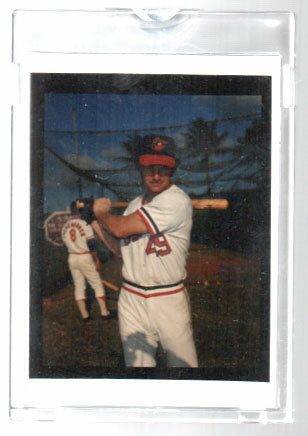 Unused original negative from the Topps Vault. Unfortunately, Topps never made a baseball card for Mike Reinbach, but if they did, they might have used this photo. This was likely taken during Spring Training, 1974. 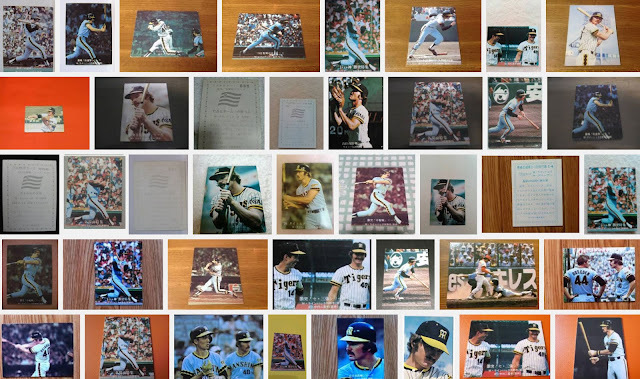 Once again I will refresh my plea for anyone living in Japan or who has friends in Japan or is able to place an international order on a Japanese website: There are several Mike Reinbach Calbee cards on auction.yahoo.co.jp that I'd love to get [search カルビー ラインバック ]. 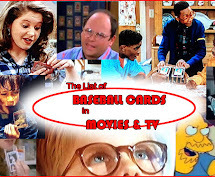 I'll make it worth your while if you can act as a middleman for me and help get some of these cards into my collection. I can trade you cards and/or pay money to cover any costs plus a healthy "finder's fee" for your trouble. Please, somebody help me out! That's some cool stuff that I hope to get one day! I can't believe he has so many Calbee cards and I have zero of them.. bums me out. But hey-- In a bizarre coincidence, just this morning, a Reinbach Calbee card popped up on eBay from a seller in Japan as a week-long auction. You can bet I'm bidding on this! I've had a set saved search for a long time, and this is the first one I've ever seen on there. Crazy that it happened today. I've been having fun creating hardcopy custom cards in recent weeks, and made some "cards that never were" for Mike Reinbach. I love this one! I made it a 1976 Topps card so I could get his complete North American stats on the back. Click on it to see the full size, why not. Baltimore had a solid outfield in the mid 70s with the likes of Don Baylor, Paul Blair, and Ken Singleton. Reinbach could also play 1st, but he was blocked there by Boog Powell, and later by Lee May. So despite his impressive numbers in the minors, that sonofabitch Earl Weaver never really gave Mike a fair shot in the bigs. 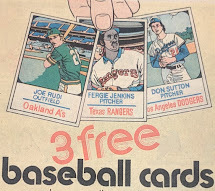 When the club traded for superstar Reggie Jackson to man right field-- Mike's #1 position-- it was clear he wasn't in their plans. So after a 4th stint in AAA, Mike went to play in Japan. I wanted to make him another "sunset" card, but this time for his Japanese baseball days. Since 1980 was his final season, I went with a 1981 design, and settled on Donruss. These cards don't really have full stats on the back, but I fudged it in order to include all 5 years from his NPB career. Again, give 'er a click to see larger. While English-language articles on his time in Japan are scarce, I'm not being hyperbolic when I say they loved him over there. The Tigers are known to have some of the most diehard fans in the world, and Mike became a big star. Both of these customs turned out great, I gotta say, and between them, I feel like his baseball career has now been properly represented on cardboard in my collection. I've sent a few copies of these cards to Lin to share with Brian Reinbach, sort of like a little wedding gift. Hope he likes 'em! If anybody else wants a copy, just let me know. I always tell people that numbers aren't the only story on whether a player makes the majors or not. The team that drafted you plays just as big if not a bigger part as your play does. You figure there were so many other teams that odds are he'd been playing in the bigs for with those numbers. I'd hate to imagine all the guys who would have had solid, or possible HOF careers in the bigs if not for being blocked at their position, and the team holding onto them as an insurance plan instead of trading them. Gavin, a great post and worthy tribute to Mike. Gavin, you should try to make contact with Zippy. He might be able to help you out or lead you in the right direction to find some Japanese cards. One thing you might look into is using a proxy bidder like kuboTEN to get the Calbee cards off of Yahoo! Japan Auctions. I get most of my new Japanese sets using them. It's a bit expensive to get single cards that way but it is do-able. A big fan of Reinback read a small article about a rumor of his death in a car accident in U.S.. But nobody knows for sure about his death in Japan. So this fan and a reporter went to LA to find out the truth. This is Mike's son Brian. My Aunt Linda forwarded me this story. Thank you for the well wishes on my marriage. And thank you for the time and effort you put into this article. If you would like I'm friends on Facebook a huge fan of the Tigers who found me. He might be able to help you out getting some of his cards. Message me on facebook if you like. Brian Reinbach.